Premier League champions Manchester City could be without one of their most influential players after Kevin De Bruyne picked up an injury in training on Wednesday. The 27-year-old Belgian injured his knee injury during training earlier today, City Watch, the premier account for Manchester City news, reports. Though there’s no official confirmation from the club, the fact there’s talk that it’s similar to the injury sustained in the Capital One Cup semi-final against Everton in January 2016 is incredibly concerning. On that occasion, the Belgian was out of action for a total of 12 games and missed the Capital One Cup final win at Wembley. 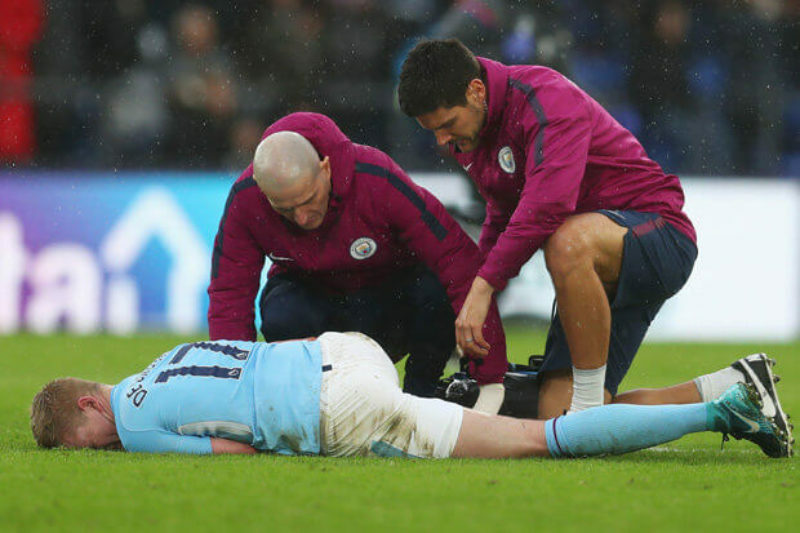 De Bruyne’s injury if found critical, may be of a heavy cost to the Blues, as they failed to sign another midfielder during the summer transfer window but could rely on David Silva, Bernardo Silva, Ilkay Gundogan and Phil Foden as alternative options. The Belgian international was one of the Blues’ most influential players during their record-breaking 2017-18 campaign, as he scored 8 goals, laid 16 assists for his teammates and won his first ever Premier League ‘Playmaker of the Season’ award.